Julian Pörksen, born in 1985, studied history and philosophy in Berlin and then dramaturgy in Leipzig. He worked as an assistant to Christoph Schlingensief. His film debut SOMETIMES WE SIT AND THINK AND SOMETIMES WE JUST SIT was shown at the Berlinale (2012). In 2018, Pörksen realized his first feature film. Whatever happens next was premiered at the Berlinale. He works as an author, director, film producer and dramaturg. 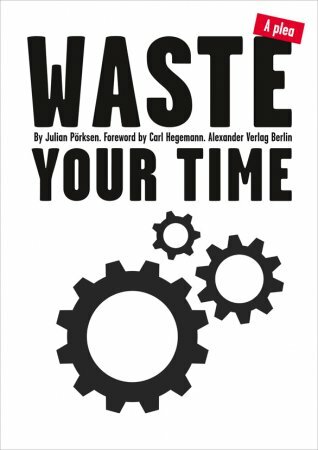 You find an extract of Waste your time as a PDF file here.